J.J. Murphy is Professor of Film and Affiliate Professor of Art at the University of Wisconsin-Madison. A filmmaker and curator, Murphy is also the author of Me and You and Memento and Fargo: How Independent Screenplays Work. “One acclaimed filmmaker takes the measure of another! Murphy’s candid and richly personal account of Andy Warhol’s filmmaking is a brilliant contribution to our understanding of one of cinema’s most original and prolific masters, exploring the artist's multiple forms of psychodrama with a filmmaker’s insight and attention to detail. As more and more of the restored Warhol films become available, this book will remain an indispensable handbook for film historians and general moviegoers alike—especially because it is such a genuine pleasure to read. "—David E. James, author of The Most Typical Avant-Garde: History and Geography of Minor Cinemas in Los Angeles. “Those of us who care about independent cinema have always struggled with Andy Warhol’s massive oeuvre. At long last J.J. Murphy, who has spent a lifetime making contributions to independent cinema, has undertaken the Herculean task of helping us understand Warhol’s development as a filmmaker. Murphy’s precision, stamina, and passion are evident in this examination of an immense body of work—as is his ability to report what he has discovered in a readable and informative manner. The Black Hole of the Camera helps us to re-conceptualize Warhol’s films not simply as mythic pranks, but as the diverse creations of a prolific and inventive film artist.”—Scott MacDonald, author of A Critical Cinema: Interviews with Independent Filmmakers (5 vols.). "In his careful firsthand study of Andy Warhol’s films, J. J. Murphy contributes to the ongoing revision of the enduring but misplaced perceptions of Warhol as a passive, remote, and one-dimensional artist. Murphy's discussions of authorship, the relation of content to form, the role of "dramatic conflict,” and the complexity of Warhol’s camera work show these perceptions to be stubborn myths. 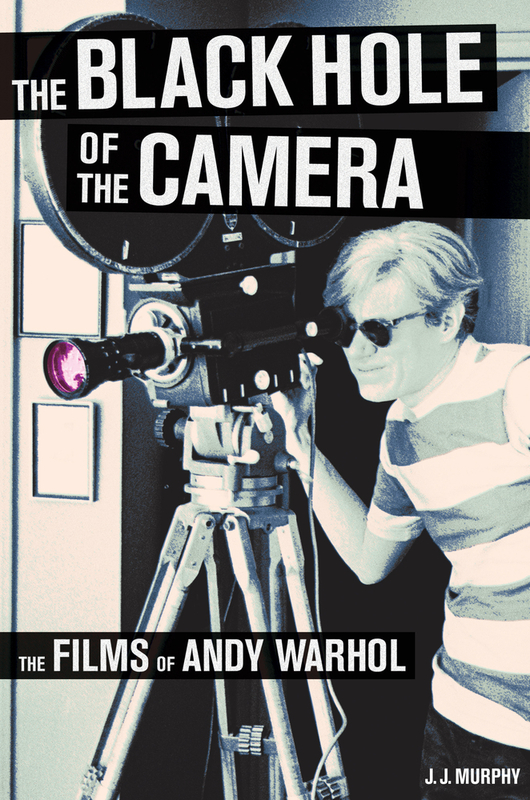 The Black Hole of the Camera offers a clear sense of the nuances of Warhol’s fascinating, prolific, and influential activities in filmmaking. "—Reva Wolf, author of Andy Warhol, Poetry, and Gossip in the 1960s.